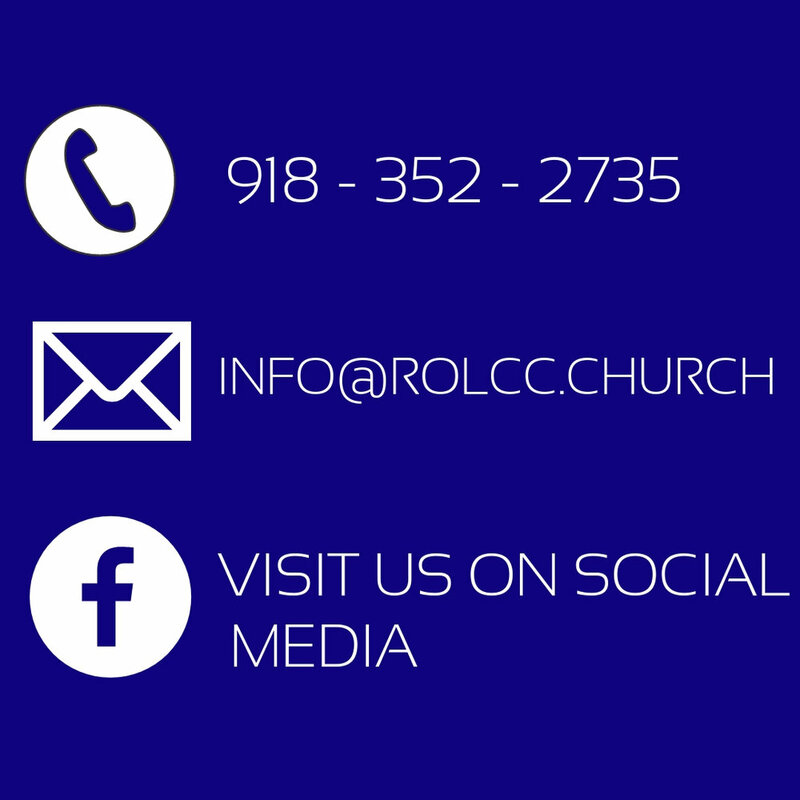 SERVICES AT ROLCC ARE WELCOMING, CASUAL, BIBLICAL AND GROWING. WE ARE SOCIAL AND CONNECTED. WE ARE FAMILY. STEADFAST CONGREGATION OF OVER 100 YEARS! Stay up-to-date with what’s going on and join us for one of our upcoming services and/or events. During the month of April, we will take a Biblical journey through the Gospels and "See" what God has revealed to us through His promises. See is our new Sermon Series, and we know that God is about to work in a great way through your life. Come see for yourself every Sunday morning. Sunday, April 14th, is our annual Community Easter Service. It will be held at Drumright Church of the Nazarene located on Pennsylvania Avenue. Every church in our community is invited. We especially want River of Life to support this community celebration of Easter. Join us Sunday, April 14th, at 6 pm. Resurrection Sunday is fast approaching! On April 21st remember to join us for a wonderful Easter Celebration here at River of Life during our 10:45 AM service. Our annual Kidz Life Easter Eggstravaganza is April 21st at 4PM! Parents, don’t forget to bring your kids for a fun hunt! Stay connected with us even if you miss a Sunday. Visit us on SoundCloud. Audio recordings of our Sunday morning sermon series are available at soundcloud.com/rolcc or on the SoundCloud app.